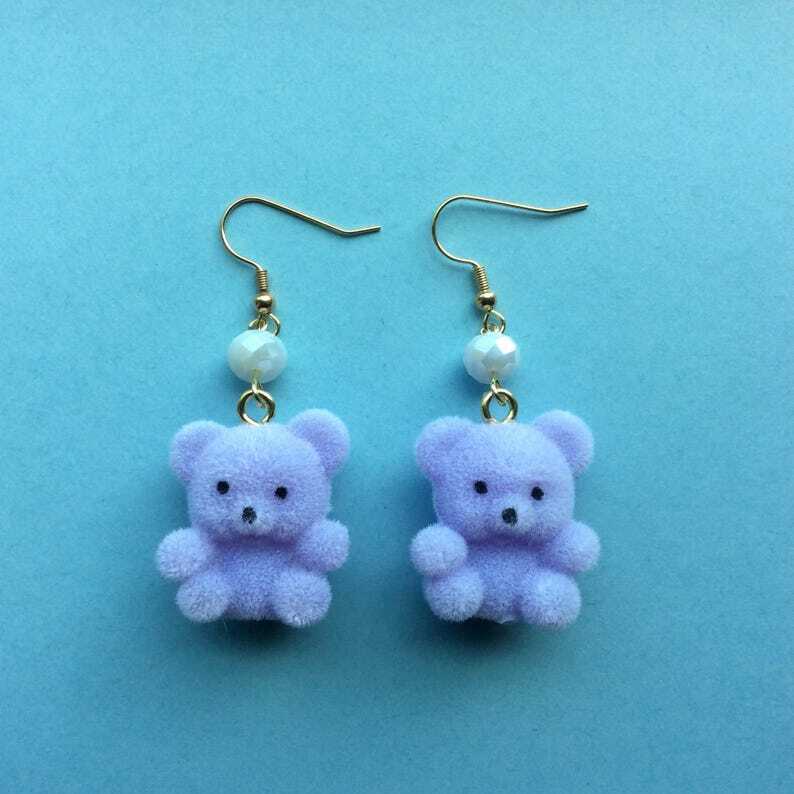 I turned these cute little purple flocked teddy bears into charms and hung them from plastic beads and ear wires. Earrings are 2.5" long. If you have any questions please ask. All postage is printed through Etsy. You should receive an email the day of shipping with a tracking number. Upgrade to Priority Mail is available during checkout. If you have any questions please ask.